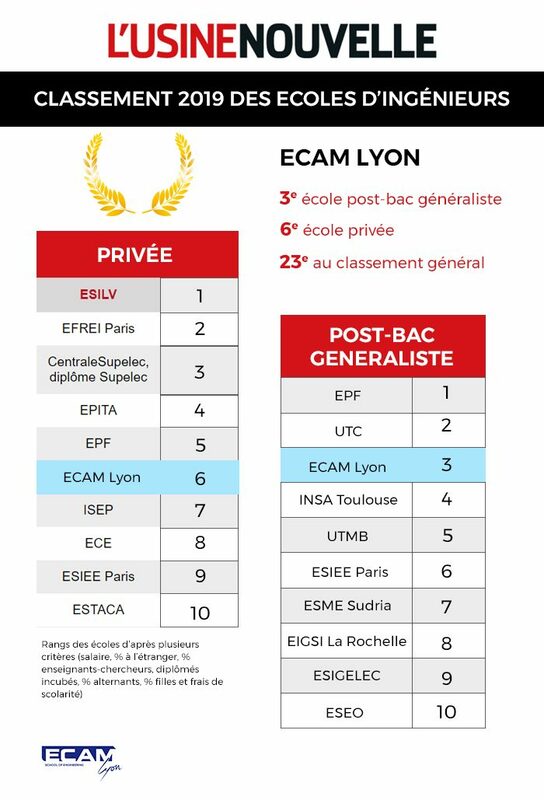 ECAM Lyon continues its climb in the rankings, taking 23rd spot in Usine Nouvelle magazine’s 2019 survey of France’s finest engineering schools. 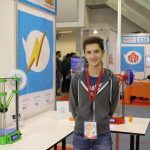 See Usine Nouvelle magazine’s overall ranking (in French). What is this ranking based on? 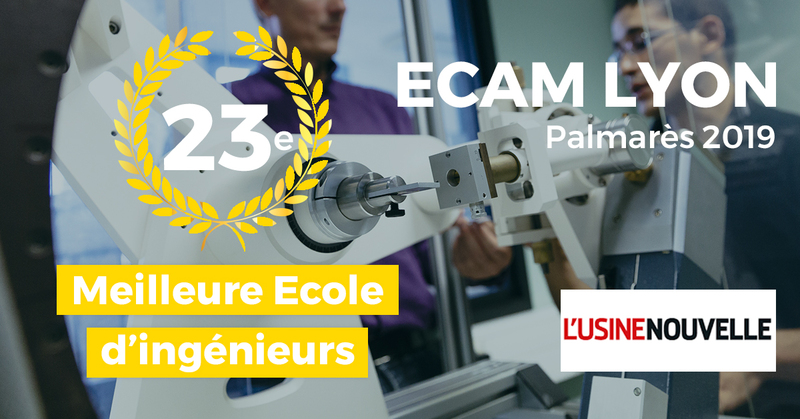 This ranking is based on data from the ECAM Arts et Métiers engineering program delivered at ECAM Lyon and ECAM Strasbourg-Europe as part of a single degree. Learn more about Usine Nouvelle magazine’s ranking methodology (in French). A French School of Engineering. with a proven track record.